One of my favorite things about the holidays is baking. I love that there are traditional recipes that we only bring out once a year. Spending time in the kitchen as a family making our favorite treats is something we all look forward to. 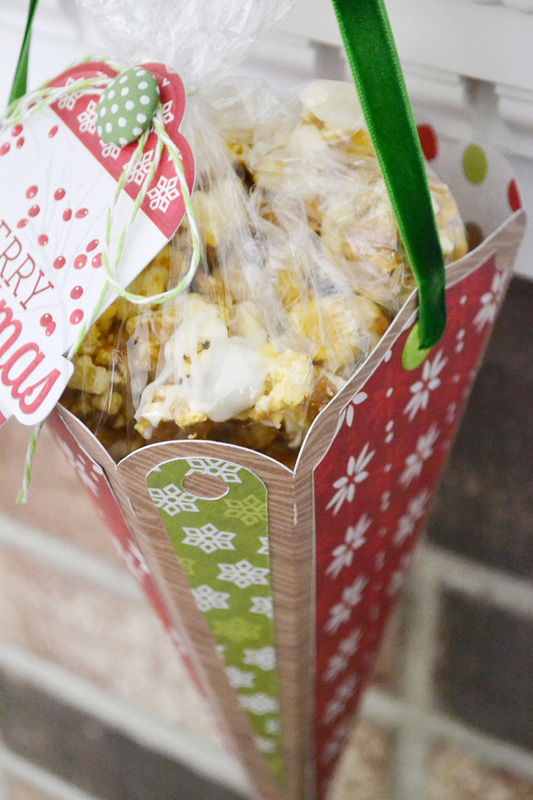 Today I'm sharing one of our favorite holiday recipes--Cinnabon Popcorn! 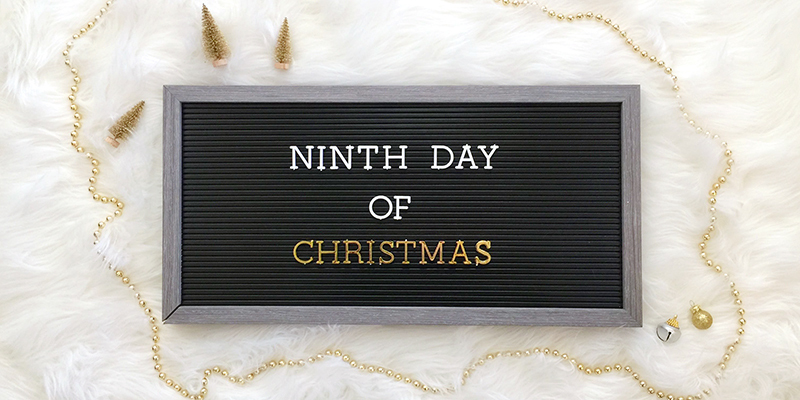 This is a great recipe for sharing goodies with neighbors and friends, it's perfect for parties, and we love eating it while watching our favorite holidays movies. It's easy to make and is SO yummy! 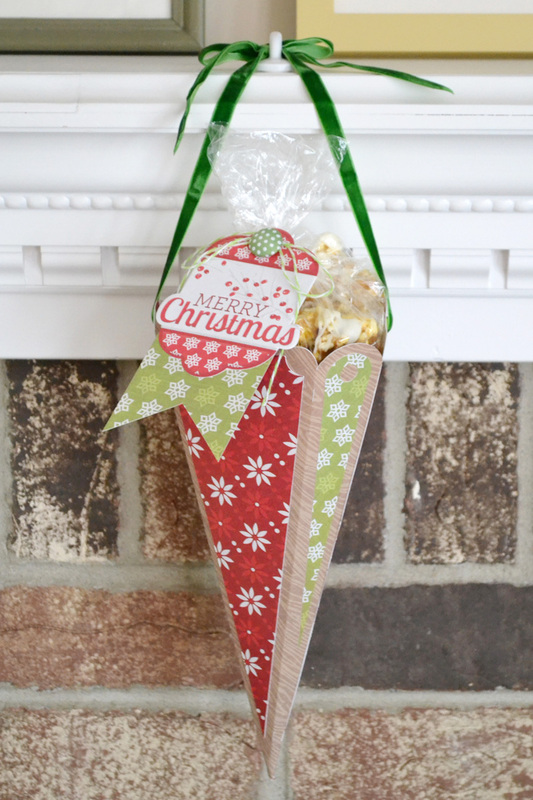 Several years ago I made this treat cone to share with a friend and filled it with a bag of Cinnabon Popcorn. While these papers from We R Memory Keepers are no longer available, this project is a great spring board for inspiration for you own treat packaging. Here's the recipe so you can make some for yourself. (Source: Our Best Bites) Enjoy! Preheat oven to 250 degrees. 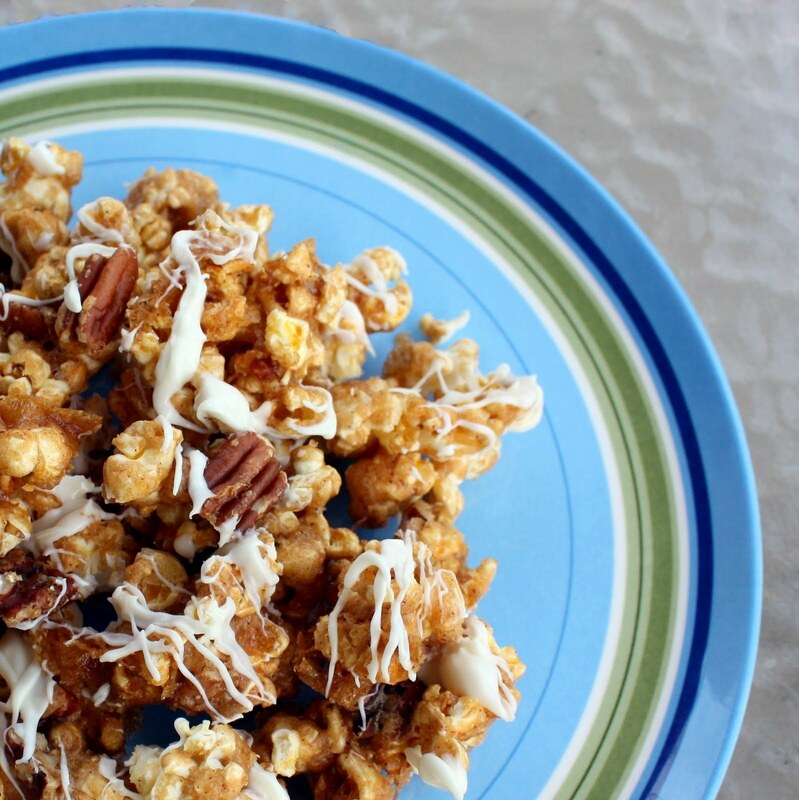 Place popcorn and chopped pecans in a large bowl and set aside. Combine brown sugar and cinnamon in a 4 cup capacity microwave safe bowl. Mix well. Chop butter into chunks and place on top of sugar mixture. Pour corn syrup over the top of everything. Microwave on high for 30 seconds and then stir to combine. Return to microwave and heat for 2 minutes. Remove and stir and then microwave for 2 minutes more.